Home / JOB VACANCY / VOLUNTEER JOB OPPORTUNITY AT COMMUNITY ADVANCEMENT ORGANIZATION (ICCAO) ; DEADLINE IS 15th JANUARY 2019. 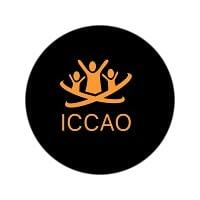 VOLUNTEER JOB OPPORTUNITY AT COMMUNITY ADVANCEMENT ORGANIZATION (ICCAO) ; DEADLINE IS 15th JANUARY 2019. To be the leading organization committed to tackle all forms of poverty, inequality and tackle environmental destruction through capacity building, advocacy and development projects for overall well being of our people. To see community in improved livelihood. To work on three (3) sectors: development, Environment and gender through advocacy and development projects.